Google launched two great devices yesterday, the Nexus 6 and the Nexus 9. And both of them come with great specifications on board. Nexus 6 comes with Qualcomm’s crown jewel, the 2.7 GHz Snapdragon 805 with the Adreno 420 on board. Nexus 9 on the other hand comes with Nvidia’s Tegra K1. The Tegra K1 is Nvidia’s dual core solution to mobile computing and the SoC is a performance beast in every aspect of the word. The Tegra K1 comes in two variations one with four A15 CPUs and the other with two denver cores on board. 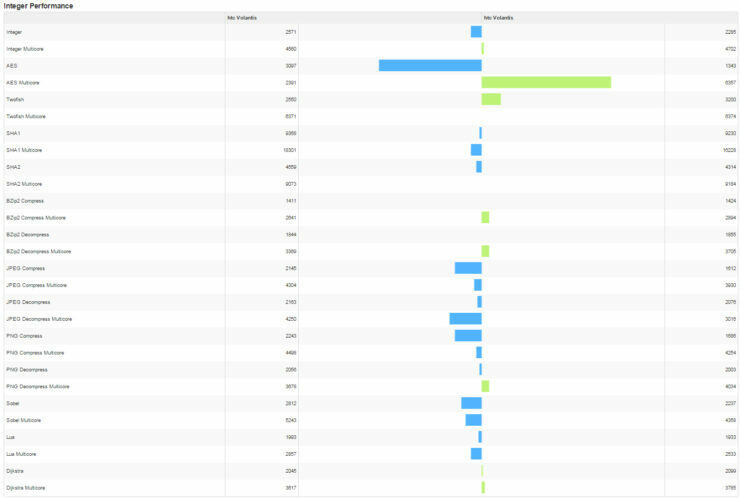 Nexus 9 comes with the Denver cores on board, and this variant of the Tegra K1 is capable of achieving frequencies of up to 2.5 GHz with it’s 64-bit architecture. 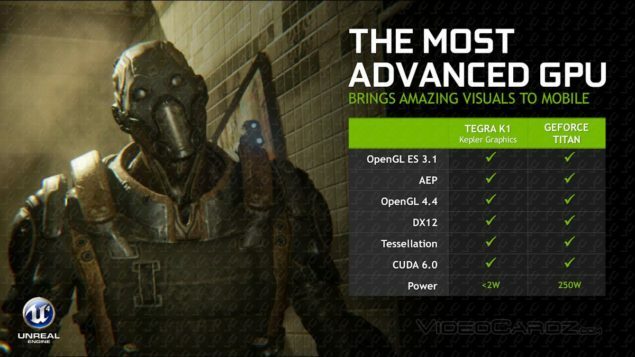 In addition to the denver cores on board, which were designed originally as a desktop solution, the Tegra K1 also comes with 192 GPU Shader cores on board as well. Today’s benchmarks unfortunately don’t deal with GPU performance and instead focus on CPU performance. 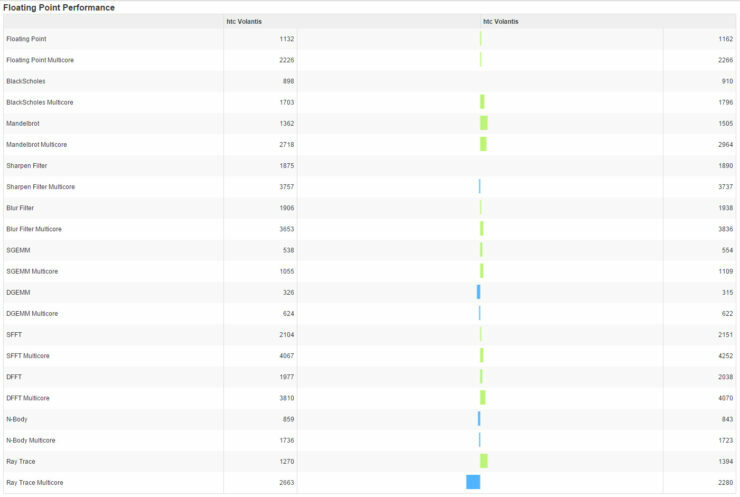 The Nexus 9 doesn’t disappoint in this department either, as you can see for yourself below. 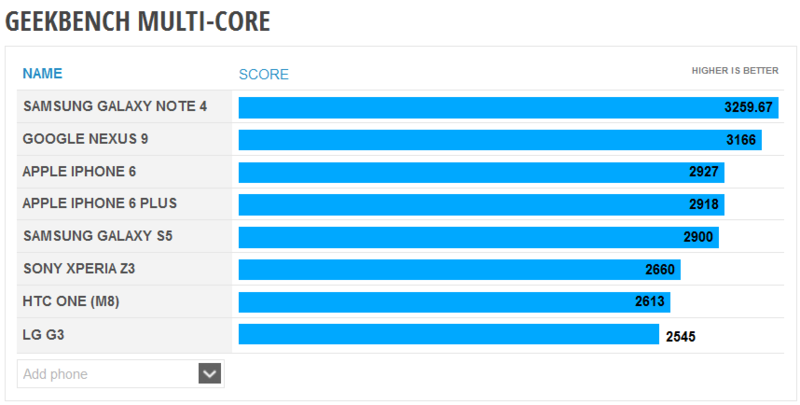 The Nexus 9 ends up blowing every other Android device out of the water and has more than double the score of every device except the Galaxy Note 4 and Apple’s iPhone 6 variants. 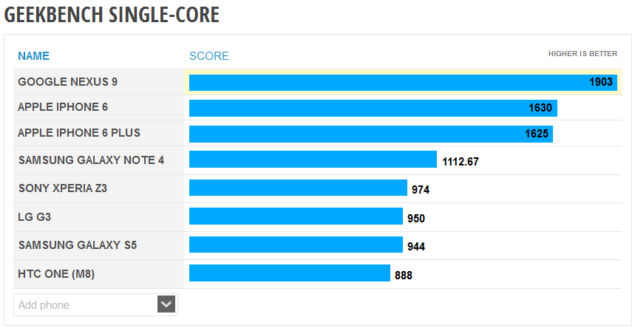 The Nexus 9 also manages to top the iPhone 6 and the iPhone 6 Plus in single core scores, which is something that truly demonstrates the power of the Tegra K1. 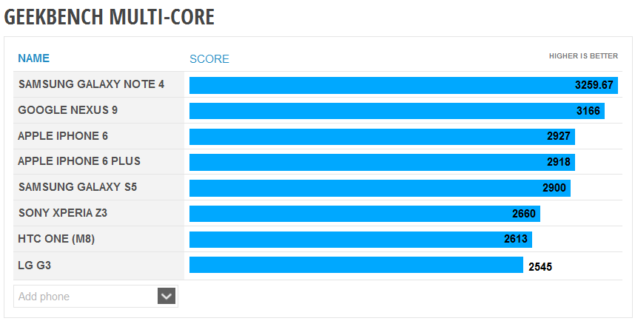 The device also receives top marks in multi core results and is topped only by Samsung’s Galaxy Note 4. Impressed so far? Take a look at the images below for more details on Nexus 9’s performance and let us know in the comments section about what you think.